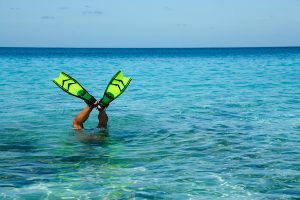 General splashing about and water sports for Fun in the Sun is the name of the game in yacht charter in the Bahamas and Florida. 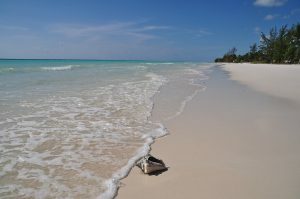 This is a destination where a crewed yacht charter is the best and may be the only way, to really fully enjoy this beach and warm water paradise. Board your yacht in Harbour Island. Enjoy the streets of Dunmore Town that the glossy magazines are labeling as the “new St Barths”. Renowned for brightly colored houses and white picket fences, this elegant little town has art galleries, restaurants, boutiques and straw work to offer. Golf carts are the means of transportation around Harbour Island and will allow you to explore the many narrow streets. Diving enthusiasts will enjoy the sight of an unusual underwater train wreck. Harbour Island is renowned for the pink sand beaches; find an isolated anchorage around the island for a relaxing swim. Overnight. In the morning cruise along the Devil’s Backbone heading to Current Cut, a narrow channel between the northern tip of Eleuthera Island and the adjacent island of Current. Here there is great snorkeling. 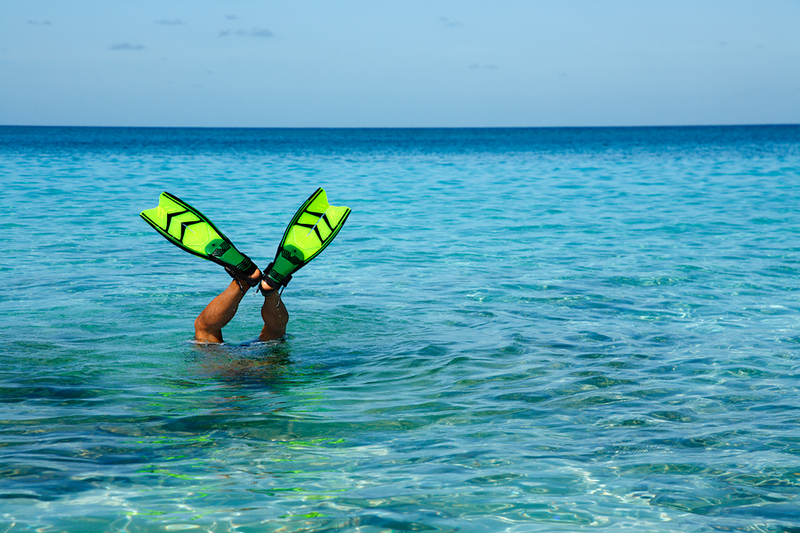 For Divers, a high speed drift dive through the cut is considered one of the top diving experiences in the Bahamas. In the evening visit Current Settlement on the island of Eleuthera, a quaint quiet little town settled over 200 years ago. Overnight in a quiet anchorage. 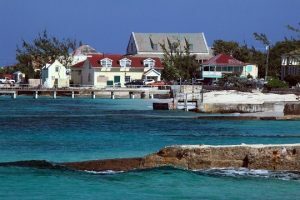 Cruise along the western side of the island of Eleuthera to Governor’s Harbor anchoring around James’ Cistern for lunch and swimming, snorkeling, exploring and shelling along the long open beaches. After lunch visit Governor’s Harbor which was first settled in 1648 by freedom of religion seeking Eleutheran explorers from Bermuda. 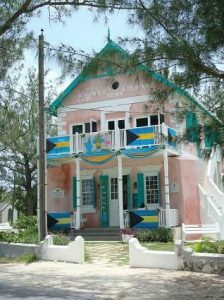 As the oldest settled township in the Bahamas from the colonial period, there are great examples to see of traditional Bahamian homes. 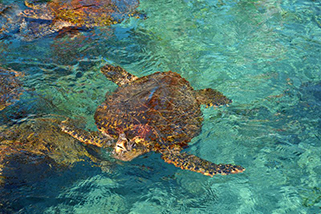 Cruise to the other side of Cupid Cay near Laughing Bird Cay to anchor and enjoy excellent snorkeling and beaches. Overnight. Cruise to the nearby deserted Sheep Cay with extensive sandy beach areas to enjoy a picnic lunch, swimming, and shelling. After lunch, head north to Hatchet Bay, perhaps stopping to visit the Hatchet Bay Caves. For the Caves you may want to consider hiring the services of a local guide. The caves feature stalactites and stalagmites, and while graffiti can be seen, (some of the wall writings date to the 1800’s), the writings create a record of ships that have passed by for over 2 centuries. Entering into the well protected Hatchet Bay is dramatic through a narrow man made cut into this once land locked lake. Wander along the streets of little Alice Town. Overnight. Head to Gregory Town; a colonial Bahamian Pineapple trading center. Pineapples are still grown here and the locals produce pineapple rum at the local Pineapple Town Plantation and Distillery, which may be open for a visit. Take a walk around town and visit the few shops featuring items for sale with a lot of pineapple motifs. And do stop to taste this delicious sweet local black pineapple. Cruise north towards Current Settlement with miles of deserted beaches to swim, snorkel, enjoy water sports, and shelling. In the am, you may want to try your hand at bone fishing around the flats of Current Settlement or along the Coast of Current Island, for which a local guide and flat bottomed boat can be hired. Cruise around the end of Current Island, perhaps stopping at Egg Cay or Russell Cay, finding a peaceful anchorage for swimming, snorkeling, shelling, water sports and for dinner on the top deck under the stars. 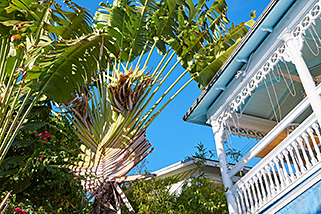 After breakfast, cruise to the historic town of Spanish Wells. First discovered by Christopher Columbus, Spanish Wells became the last stopping point of the Spanish during the colonial days of Florida to refill with water from the fresh water springs on this island before their long Atlantic crossing. Spanish Wells is a center for lobster fishing in the Bahamas, however there are also many locally made handicrafts from the island in the local shops. In the afternoon, run back through the Devil’s Backbone where there are numerous wrecks, many caused by locals luring the unsuspecting with lit lanterns attached to tethered donkeys onto the reefs for salvage. Head to a quiet anchorage across from Harbour Island for your last evening dinner. In the am enjoy the waters for a great final swim and snorkel and then to the docks for the airport in North Eleuthera for the flight home. 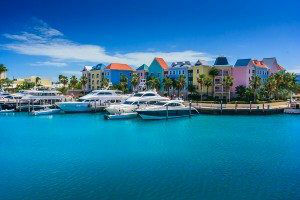 Join your yacht in the capital city of Nassau to cruise 34 miles to another world. There are more than 700 islands in The Bahamas, with the Exuma chain reaching south at least 120 miles. Arrive at the Allen’s Cay group of islands to explore nearby beaches and to meet the large population of protected native iguanas on Leaf Cay or Southwest Allan’s Cay, which always comes out to greet visitors. 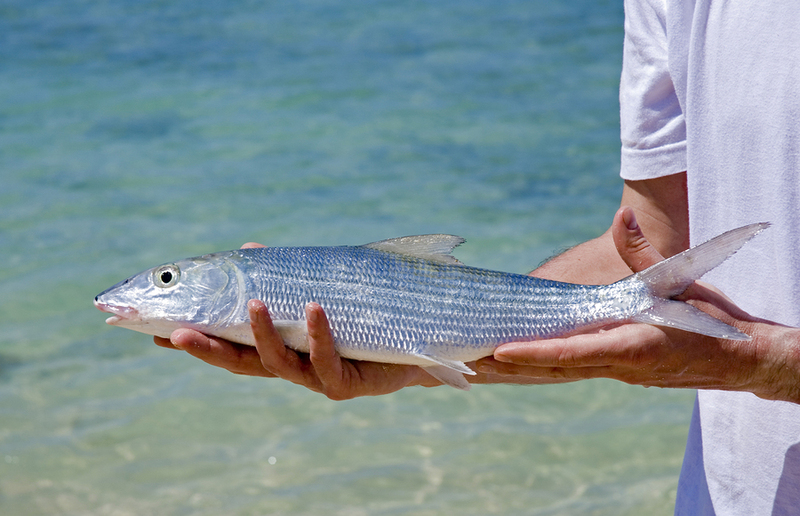 Good snorkeling and fishing surround this collection of some 13 small islands and reefs. In the morning cruise to uninhabited Hawksbill Cay, on of the prettiest cays in the Land and Sea Park. Walk along the beautiful expanse of beaches and climb the large hill for a panoramic view of the anchorage. In the afternoon hike the trails to explore ruins of Loyalist plantations dating from 1783 and enjoy a picnic lunch. 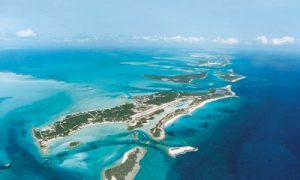 After breakfast, cruise to Warderick Wells, headquarters of the Exuma Land and Sea Park, where you’ll be greeted by an amazing display of water colors and sand banks upon approach. Snorkeling is excellent on nearby reefs. On shore, check out the sperm whale skeleton on the beach and enjoy the park’s four miles of walking trails. Enjoy a lazy tropical breakfast before cruising to Staniel Cay where you can visit this quaint settlement of brightly colored houses. 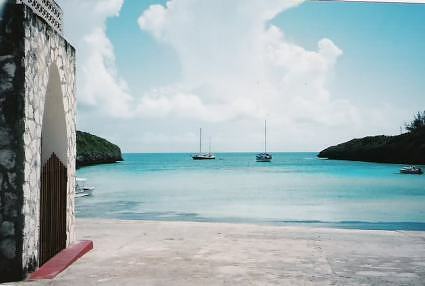 Snorkelers will enjoy exploring Thunderball Cave, the site of the movies “Splash” and “Thunderball”. 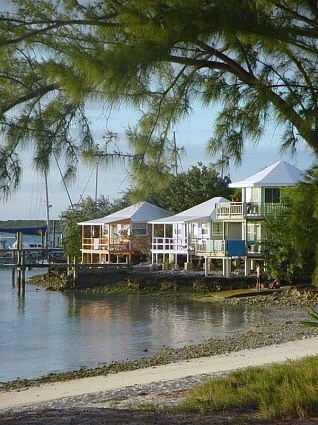 Have dinner on board or ashore at the Staniel Cay Yacht Club. 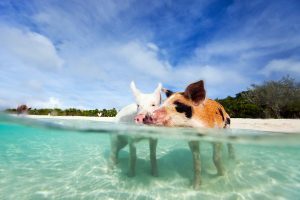 Leave for Big Major Cay to visit the swimming piggies. Cruise to the eight-mile-long Pipe Creek, an area generally deserted as many yachts avoid its tricky shifting shoals and endless coral heads. 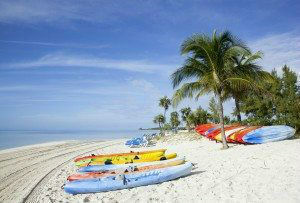 This is a watersport paradise providing endless fishing, exploring and snorkeling opportunities. Enjoy breakfast before cruising north to Shroud Cay. After anchoring, take the dingy through unspoiled mangrove creeks for a private lunch on a spectacular unspoiled ocean beach. Hike along the trails to see a variety of birds and wildlife. In the morning cruise to Norman’s Cay to snorkel on the island’s famous airplane wreck. While lunch is served, cruise to Nassau for a visit to the magical Atlantis Resort for great entertainment and nightlife. Charter The Exumas, Where Pigs Don’t Fly…They Swim!